Licensed in California (USA), spotted while 'vacationing' in London and now finally spotted in Dubai, the city where the owner(s) spend most of their time. 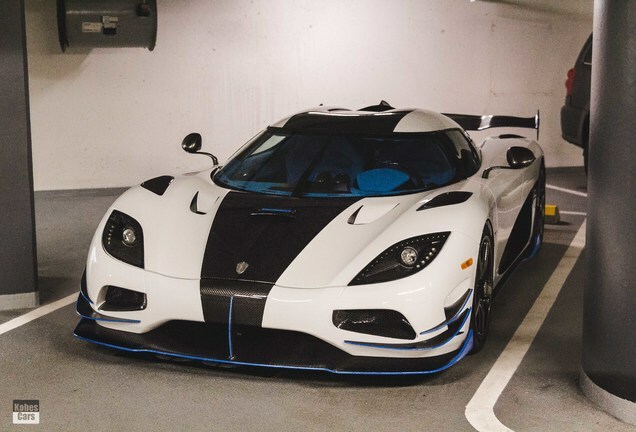 The Koenigsegg Agera RS1 of Whitesse is finished in Arctic White with highlights in a specially selected shade of blue on the front winglets, side skirts, diffuser and rear wing. 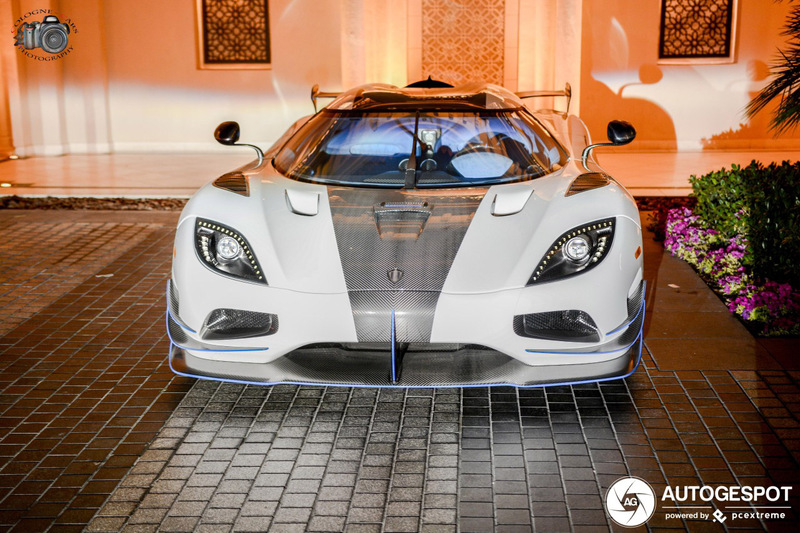 The RS1 is powered by Koenigsegg’s own twin-turbocharged 5.0l V8 engine. Developed and hand-built in Ängelholm, Sweden, this powerplant produces 1,360hp and 1,011 lb ft of torque in its 1MW variant. 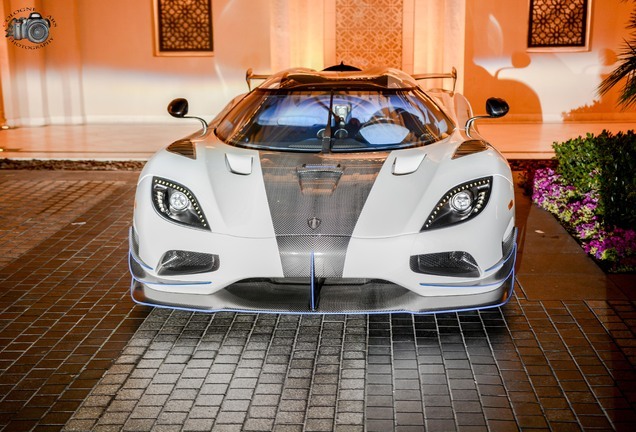 Power is directed to the rear wheels via a 7-speed automatic transmission with output governed by Koenigsegg’s own traction and stability control systems, which are fully developed in-house along with all engine management and active systems software. 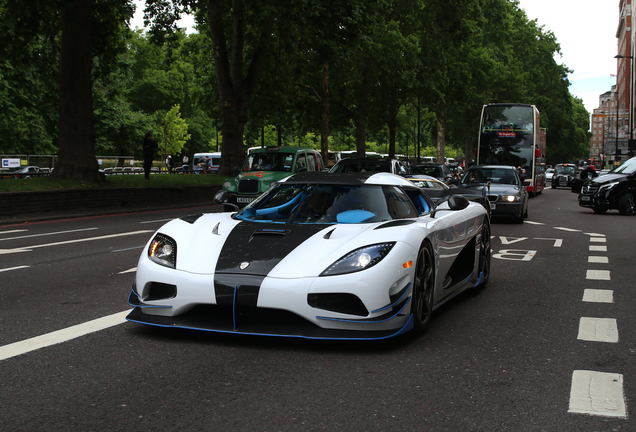 The Agera RS1 has prodigious power, yet weighs just 3,075 lbs with all fluids and ready to drive (2,845 lbs dry weight). 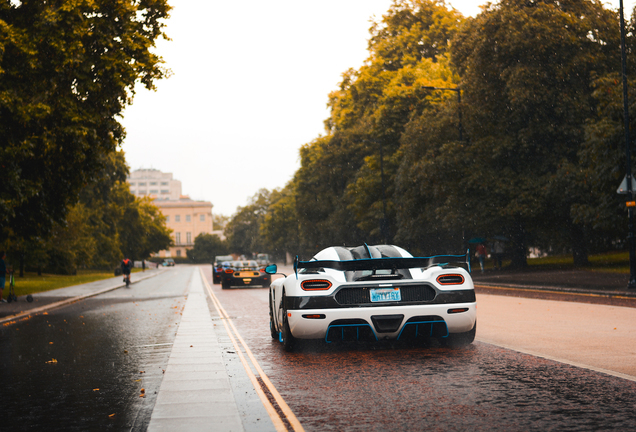 This extraordinary power-to-weight ratio allows the car to accelerate from 0-62mph (100km/h) in 2.8 seconds and on to 186mph (300 km/h) in 12.3 seconds. 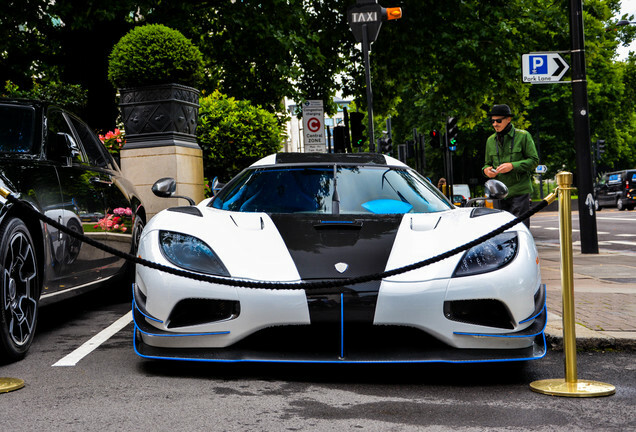 The car is also capable of cornering at up to 1.8G thanks to Koenigsegg’s unique elongated front and rear double wishbone suspension, active damping and advanced aerodynamics. 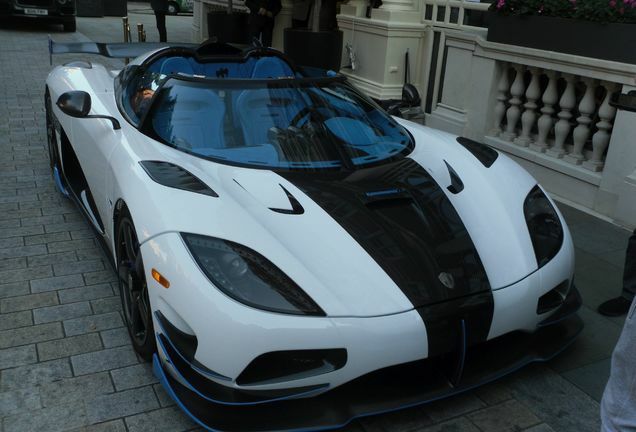 This light weight is all the more remarkable considering that the Agera RS includes all modern electronic aides and comforts – climate control, satellite navigation, Bluetooth integration, digital entertainment system, electric carbon fibre sports seats, fully adjustable pedals, hydraulic lifting system to aid vehicle clearance, alarm, tire pressure monitoring, fully digitized information and warning systems, among others. As with all Koenigseggs, the roof is removable for instant open-top driving with no compromise in chassis stiffness or performance. The roof is light in weight and can be stowed in the luggage compartment under the front hood of the car.